Gardening Services include: Digging, weeding, pruning, trimming small trees/shrubs, general garden tidy, trim borders, lay membrane for borders to prevent weeds growing, erect trellis/shrubs, treat fences and garden furniture, clean garden furniture, deck cleaning and varnishing, patio cleaning and much more. Like Garden Sheds, whatever the function or size of garden shed required we can install it, throughout the London area. These days sheds are often used as an inexpensive extension to the home, perhaps as an office, a garage or a playroom. Sheds can be insulated to protect in all weathers. Fencing forms a vital part of the aesthetics and the security of a property. Often overlooked or seen as merely a way of ensuring privacy it can actually be an extremely attractive feature, especially when fencing is used as a divider or screen. We can fit a wide choice of fencing styles. Adding a wood fence to your garden can transform your outdoor space and enhance the style of your home. Repairing a fence takes time, effort and skill. 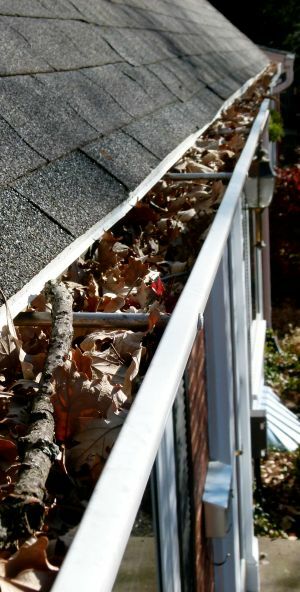 Gutter Cleaning: In the winter, get your gutters cleaned before they get set. Gutter cleaning removes the debris out of your gutters so they can drain properly. This can prevent overflow onto your sidewalks and into your yard, and in extreme cases, water damage to your home. Proper cleaning allows your gutters to flow correctly and can help prevent your drain tile getting clogged. We do this by hand to make sure water will drain properly. London Handyman set up a schedule for our required home improvement project and stuck to that schedule. Your handymen were polite and took pride in their work. We were very happy with the finished project - thank you London Handyman. "Such a great service. The job was done quickly. Recommend 100%!"